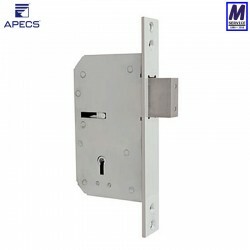 APECS has modified the traditional British 5-lever high security deadlock, by developing its own unique spring-less mechanism. 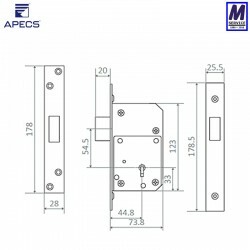 This mechanism delivers lost motion action and helps to secure the lock from picking, as well as provide long-lasting durability. the highest level of protection from drilling and sawing. In addition, LX5 comes with Hardened Steel plates on each side to withstand severe drill attacks. The lock can also be fitted with either a single or double pole micro switch, to have the door additionally secured with an alarm.